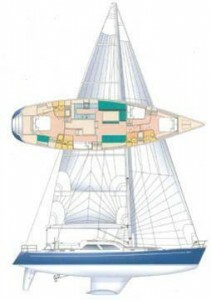 Queen Long built only two hulls of the 66, another collaboration between German Frers and the Queen Long Shipyard in Kaohsiung. Her usually high headroom stuck some as odd, and the design never really caught on. 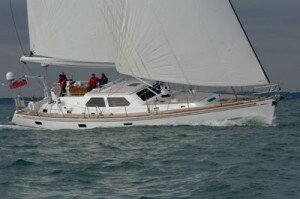 Please read the John Kretschmer Review of the Hylas 66. They extended her lines to become the fantastic Frers 70. Please see our Hylas Models Page for information about other Hylas models.